These rules indicate whether special conditions apply and what is meant by group. • When booking more than 3 rooms, different policies and additional supplements may apply. 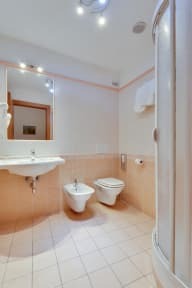 Hotel Mia Cara is in the historic center of Florence and it’s located 200 meters from Santa Maria Novella. 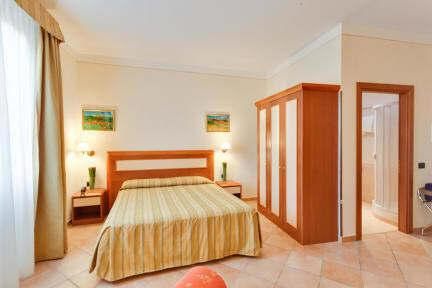 The family-run hotel offers rooms with air conditioning, free Wi-Fi, computers, flat-screen TV, safe and refrigerator. It is situated in an ideal location and has a small garden and a terrace . Staff are available 24 hours a day, providing you all kind of tourist information. A generous buffet breakfast is served daily in the bright breakfast room and includes hot drinks, bacon, eggs, juice and pastries. Treatments and massages are available on site in the Mia Cara SPA where you can relax with hydromassage, sauna, emotional shower and lounge room with music.